I found a funny "writerly" saying today: "My life is based on a true story." It has a double meaning for me, firstly because I got tired of living in fiction a long time ago, and secondly because I finally figured out what the true story was. I bet you're getting curious. I hope you'll read on. First, let me explain what I mean by "living in fiction." The old saying, "Sometimes truth is stranger than fiction," kicks in when I try to talk about life. I have known people whose alliterative names could never make it into a book, because an editor would throw it out saying, "No one will believe such a person exists, or should be taken seriously." I have lived through unbelievably strange days, where it seemed to me that everything was happening backwards, and people's very thinking had been turned upside down. I have read accounts of people who suffered extreme torture and did incredible things to survive a war, and I believed their stories, even though it was almost too much to believe. The difference between truth and fiction is that fiction has to strive for "believability," and so it is limited to what the audience will accept as feasible. Meanwhile, truth has no such limitations. It says what it is, and you can believe it (or be wrong). Real life, as it so happens, is one of those things that doesn't ask for your permission or acceptance. It just comes. That is why I believe the "unbelievability" factor of the Gospel doesn't qualify the Bible for off-hand dismissal. There are many people who have disagreed with me. They keep saying that they don't want to hear what the Bible has to say, because some miracle or teaching just sounds too hard to accept, in their opinion. They want to treat it like fiction, and decide what is approaching normal, and what has to be thrown out. At the same time, most of those people will begrudgingly say that at least a few of the historical accounts in the Bible are true stories, and a few of the teachings contained therein are worthy of acceptance. They will believe what has been confirmed by archaeologists and teachers, but they hesitate before believing the source that first told them about it. This is self-contradictory. If the Bible is a true account, it all deserves acceptance, even the unbelievable parts. Even those pieces that have yet to be empirically confirmed are also part of the story, no matter what they are. And so it comes down to something other than unbelievability; it has to do with what we want to believe, and what believing will require of us. I haven't written this for the unmovable skeptics out there. They are, by definition, not open to convincing. However, if you are one of those people who once thought that your life was "based on a true story," but now you are entertaining some doubts as to whether you are on the right track, this is for you. Whether you are coming back to what you once heard, or are just setting out on a search for truth, I hope you will give Jesus a close examination, instead of settling for something that seems more believable along the way. Those things just might be fiction. Could you live with that? I couldn't. I have taken the position of a skeptic at times, and I have asked Jesus to follow through with His claims--and He has. Over and over again. So, today I'm challenging you. Have you grown tired of living in fiction? 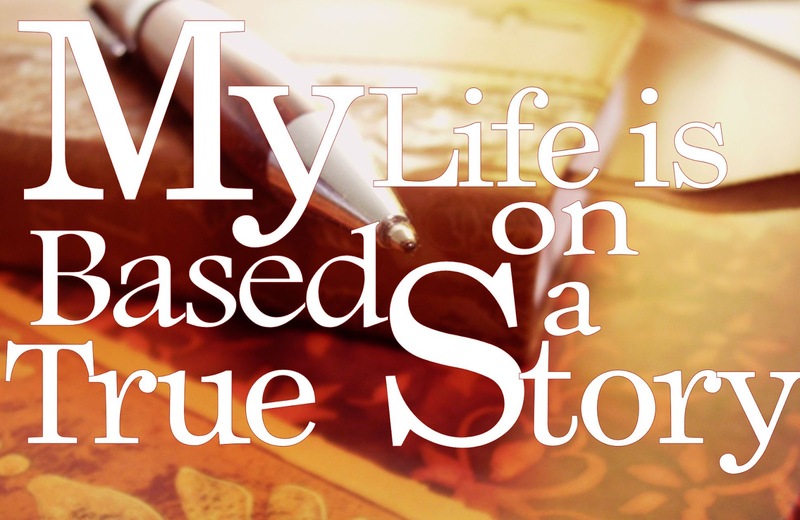 Are you ready to base your life on this true story?